MISO last week released draft Tariff language that would allow energy storage resources to compete for projects in the RTO’s annual Transmission Expansion Plan (MTEP). The provision would allow storage-as-transmission assets (SATA) to pursue consideration in all classes of RTO transmission projects, including baseline reliability, market efficiency and multi-value projects, as well as market participant-funded upgrades. During a Planning Advisory Committee meeting Wednesday, MISO Director of Planning Jeff Webb said the RTO would work with stakeholders on full Tariff revisions through May. However, some stakeholders from the Transmission Dependent Utilities sector still contend that storage should be restricted to solving just reliability needs. “The reason we’re doing this is stakeholders implied it was discriminatory to carve out reliability services from the FERC policy statement,” Webb said, adding that he didn’t think it appropriate for MISO to “call the shots” on the types of transmission projects available to storage. MISO currently has “at least one” battery up for evaluation in MTEP 19 to solve a reliability issue, Webb said. The draft language also notes that MISO is not yet detailing how a storage asset could function as both transmission and generation. “Subsequent phases of policy development will address those issues necessary to permit mixed-mode operation of providing both transmission and market services,” MISO said. Webb called the language a “temporary prohibition” and said future discussion would focus on how SATA could also maintain a market presence. But some members asked if MISO would leverage fully charged SATA during a maximum generation event to avoid shedding load. “I’ll have to think about that,” Webb responded. “What we would not want to do is use the resource as a generation asset to relieve a resource adequacy issue.” He said MISO would probably use the asset merely to resolve transmission constraints in order to keep the lines between generation and transmission distinct. After the February discussion, PAC leadership determined that DTE’s request raised complicated and out-of-scope cost-recovery questions. They directed the topic to the Steering Committee, where new topics in the stakeholder process are assigned to corresponding committees. “We were really interested in seeing the follow-up to that discussion,” Clean Grid Alliance’s Rhonda Peters said. 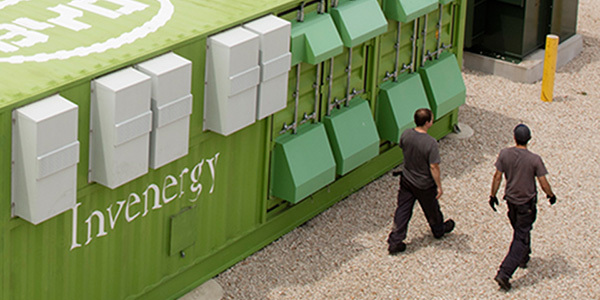 “This has other elements beyond even treating storage as traditional transmission or generation. People can disagree with that assessment on our part,” Webb said. FERC ruled that MISO unreasonably prevents energy storage from participating in markets other than its regulation market.